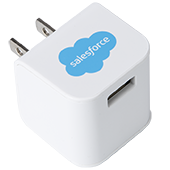 Charge your devices on the go! 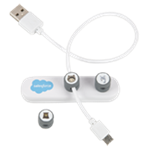 This charger has dual ports and an LED ring that illuminates when in use. Input: DC12V-24V. Output: DC 5.0V-1000mA, 2.1-1A. 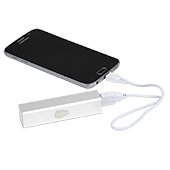 White USB port is for all Apple products such as iPod, iPhone, iPad; black USB port is for Samsung, HTC, Blackberry, smart phones, tablets, etc. 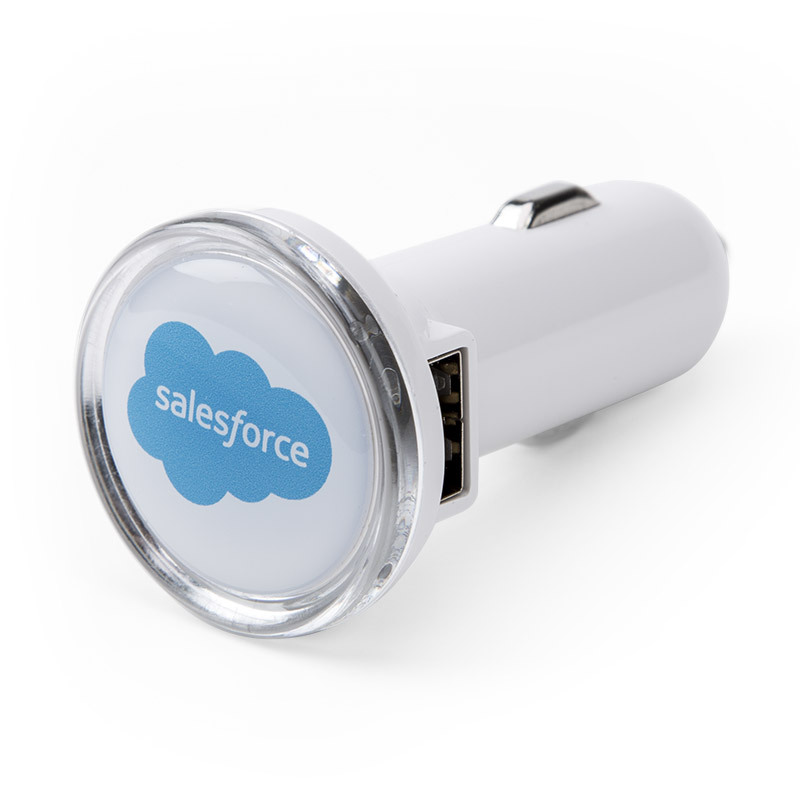 Salesforce Cloud logo imprinted on device.